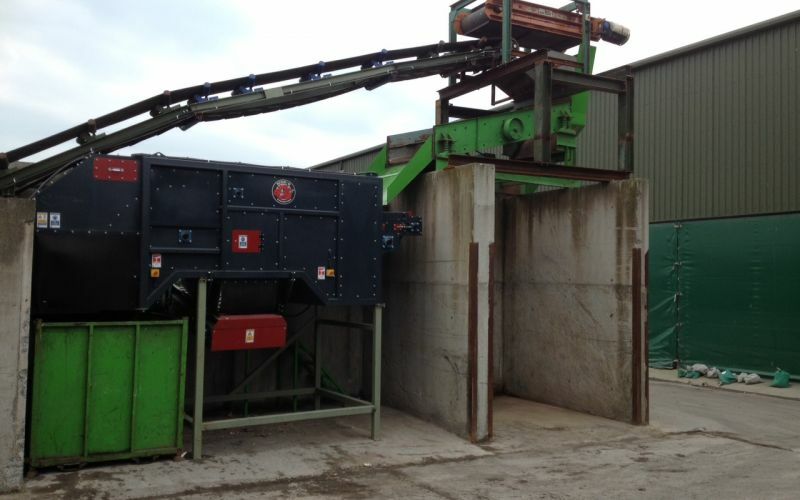 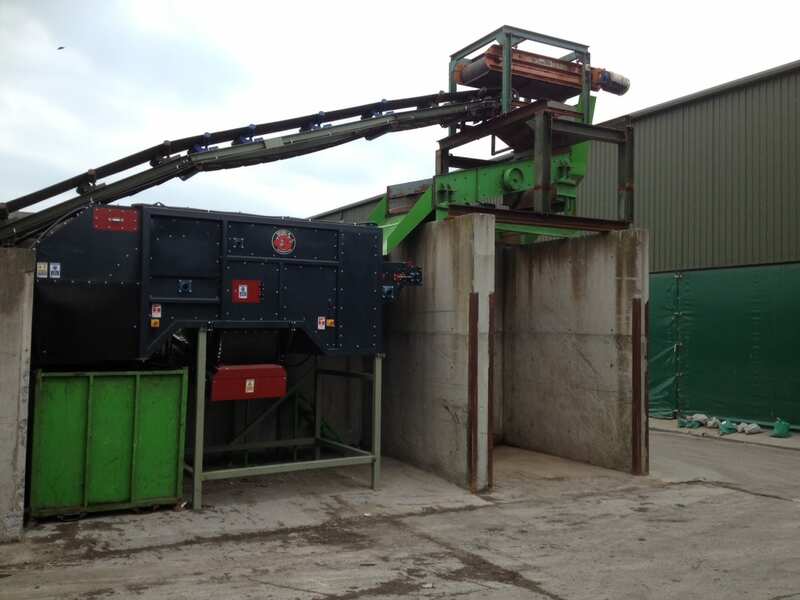 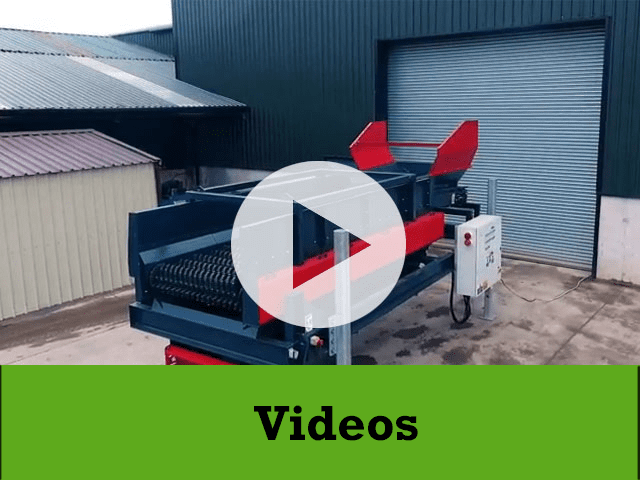 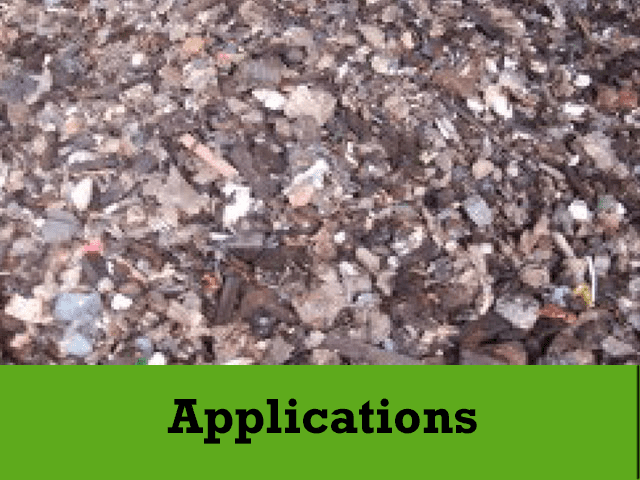 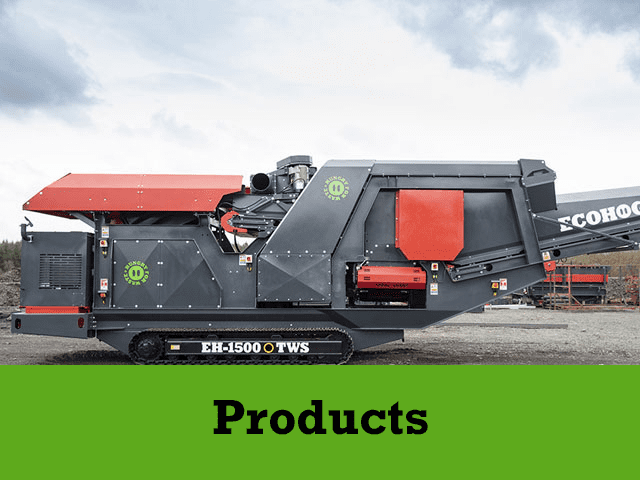 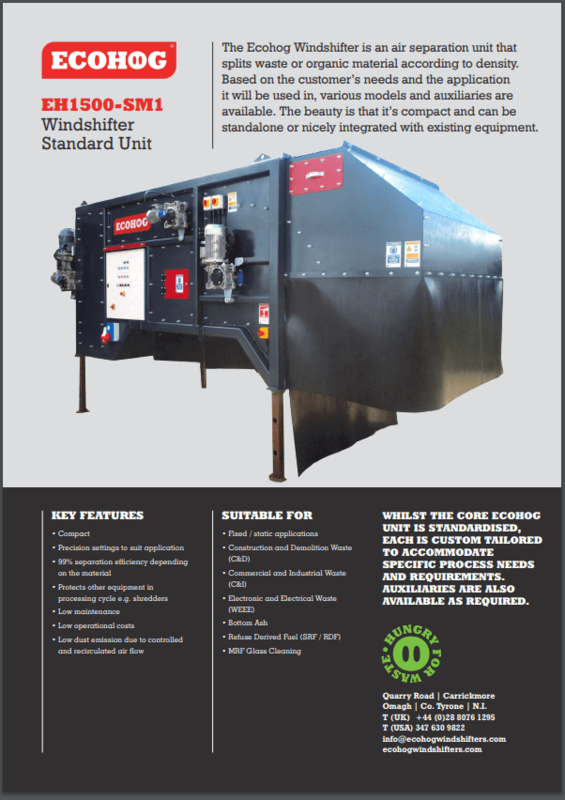 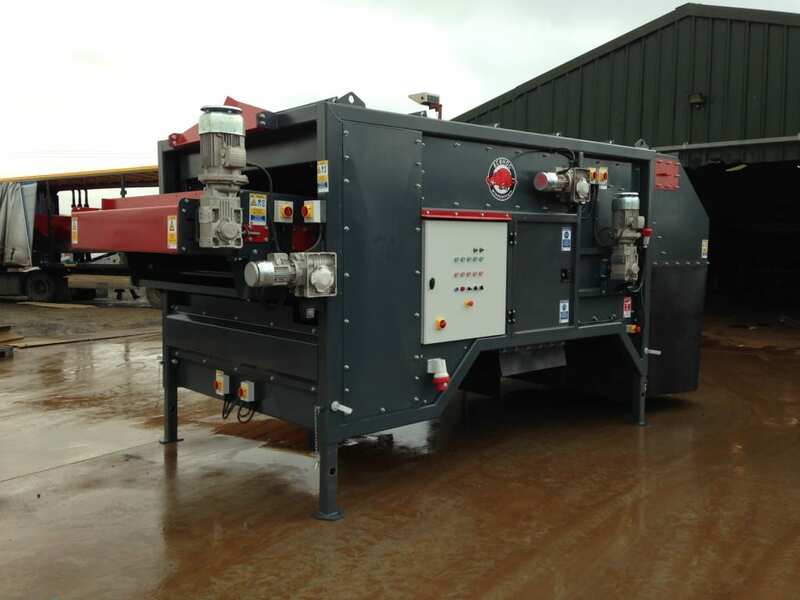 The Ecohog Windshifter is an air separation unit that splits waste or organic material according to density. 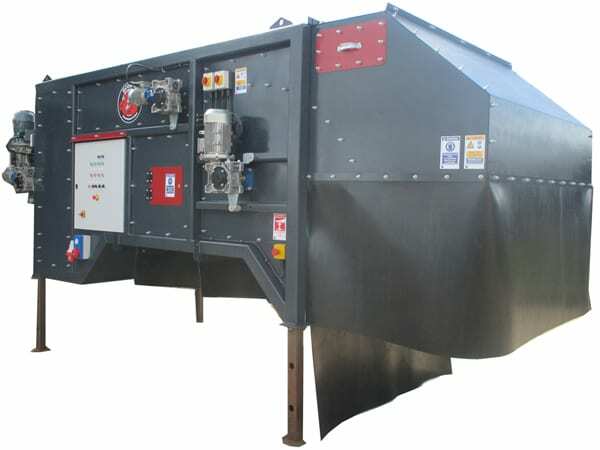 Based on the customer’s needs and the application it will be used in, various models and auxiliaries are available. 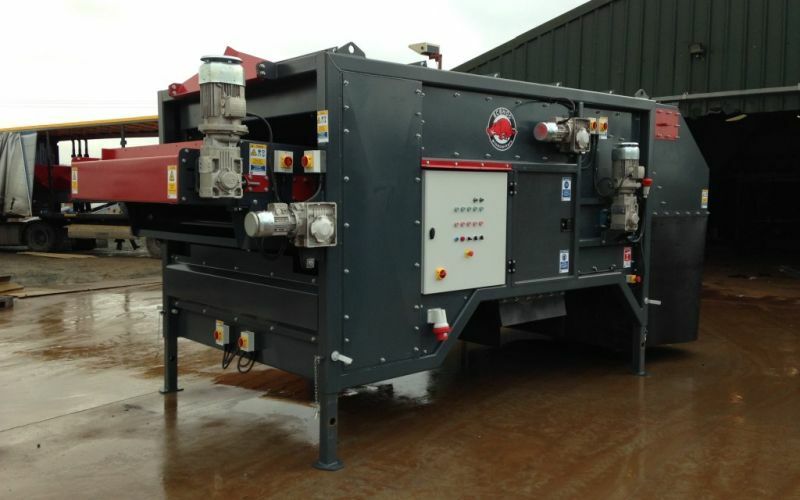 The beauty is that it’s compact and can be standalone or nicely integrated with existing equipment.